Bishop Alfred A. Schlert was born to Alfred and Marylou Schlert in Easton on July 24, 1961, and was educated at St. Jane Frances de Chantal Elementary School, Easton and Notre Dame High School, Easton. He prepared for the Priesthood at St. Charles Borromeo Seminary, Philadelphia, the Pontifical Roman Seminary, Rome and St. John Lateran University, Rome. He was ordained a priest at the Cathedral of Saint Catharine of Siena, Allentown on September 19, 1987 by The Most Reverend Thomas J. Welsh, Second Bishop of Allentown. Msgr. Andrew Baker is Rector of Mount St. Mary’s Seminary. Ordained a priest of the Allentown Diocese in 1991 he served in a number of assignments and as pastor at the Cathedral. He completed his doctorate, S.T.D. at the University of the Holy Cross in Rome. 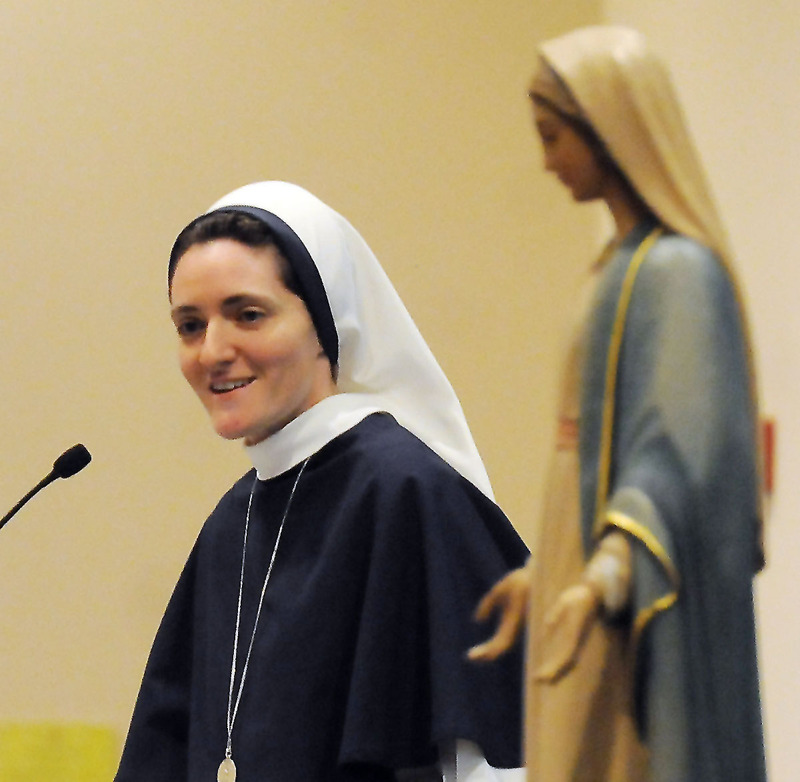 Sr. Faustina Maria Pia is a member of the Sisters of Life, an order centered on contemplative Eucharistic prayer within a vibrant community life, whose mission is to protect the sacredness of human life. Sr. Faustina helps care for vulnerable pregnant women and their unborn children along with her fellow sisters. She resides at the Villa Maria Guadalupe Retreat House in Stamford, CT.
Kelly Wahlquist is a dynamic and inspiring Catholic author and speaker whose gift of weaving personal stories and Scripture together with practical advice allows her audience to enter more fully into what Pope Francis has called us to do—to live the joy of the Gospel with missionary zeal. She is the Assistant Director for the Archbishop Harry J. Flynn Catechetical Institute in the Archdiocese of St. Paul & Minneapolis, founder of WINE: Women In the New Evangelization, and a contributing writer for CatholicMom.com and The Integrated Catholic Life—an eMagazine about integrating faith, family, and work. Her book, Created to Relate: God's Design for Peace and Joy, inspires women to live fully their beautiful God-given gifts to build up the kingdom of God. 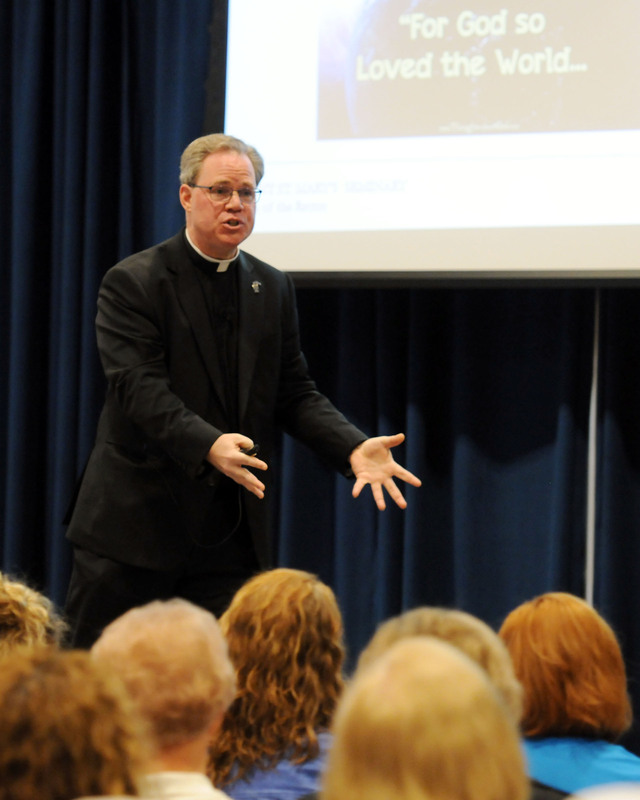 Kelly travels the country speaking on the New Evangelization in an effort to encourage all to spread the message of Jesus by living the joy of the Gospel. She resides in Minnesota with her husband, Andy, and their three children. Colleen Carroll Campbell is an author, print and broadcast journalist and former presidential speechwriter. Her books include her critically acclaimed journalistic study, The New Faithful, and her award-winning spiritual memoir, My Sisters the Saints, which has been translated into Spanish, Portuguese and Polish and has sold nearly 90,000 copies in English. Campbell’s journalism credits include contributions to the New York Times, Washington Post, First Things and America, and appearances on CNN, FOX News, MSNBC, PBS and NPR. She has served as executive producer and anchor of EWTN News Nightly with Colleen Carroll Campbell, a television newscast airing worldwide on EWTN, the world’s largest religious media network, and as creator and host of EWTN’s Faith & Culture television and radio interview show. In 2013, she anchored EWTN’s live television coverage of the historic election and installation of Pope Francis in Rome. A former speechwriter for President George W. Bush and editorial writer and op-ed columnist for the St. Louis Post-Dispatch, Campbell is the recipient of two honorary doctorates and numerous other awards for her journalism work and books. 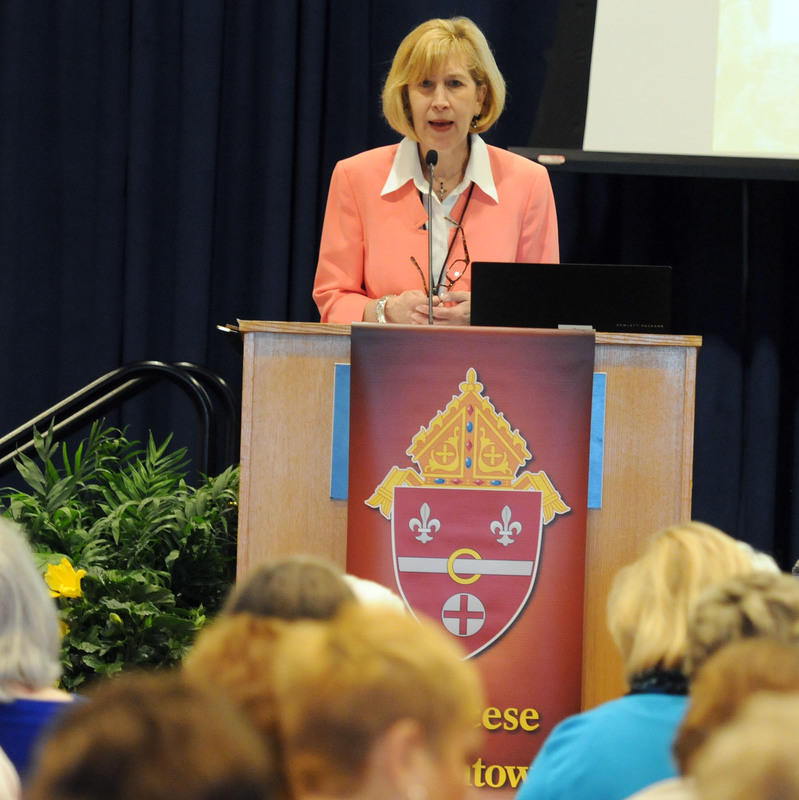 She serves as a lay consultant to the Ad Hoc Committee for Religious Liberty for the U.S. Conference of Catholic Bishops and speaks to audiences across North America and Europe. Campbell lives in St. Louis, Missouri, with her husband and four children, whom she homeschools. Lucia Baez Luzondo, JD, MAPT (cand) Lucia serves as Director of the Secretariat for Laity, Marriage and Family Life and Youth and as Director of the Office of the V Encuentro San Antonio at the Archdiocese of San Antonio. With her husband, Ricardo, she co-hosts the television series “Creados para amar” (Created for Love) which broadcasts on EWTN Spanish worldwide. She also co-hosts, En el día a día con Ricardo y Lucia (In the day to day with Ricardo and Lucia) a weekly live-radio program which broadcasts worldwide on EWTN Radio Católica Mundial (EWTN Global Catholic Radio Network) and in “radio on television” at CTSA, Catholic Television San Antonio. 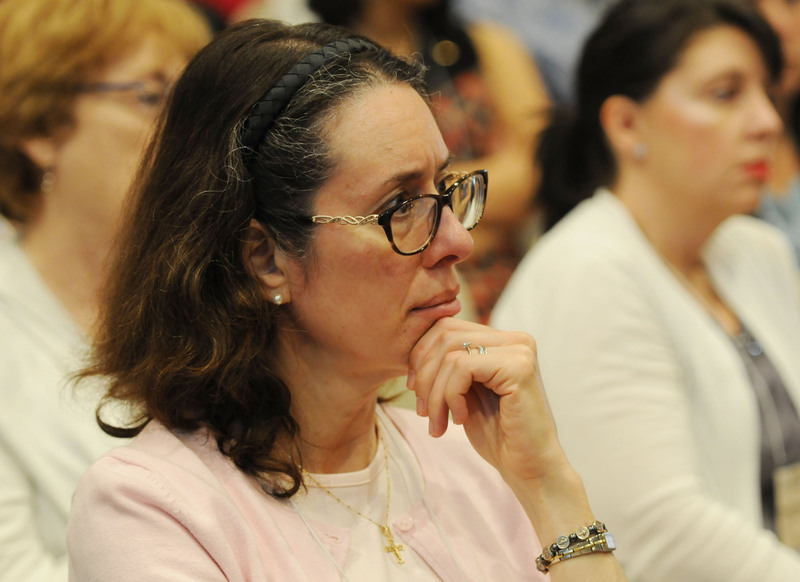 Lucia also served as Board Member on the National Association of Catholic Family Life Ministers and was the first Representative for the Hispanic/Latino Section of that association. Lucia has collaborated with several Secretariats of the USCCB in various initiatives for Hispanic/Latinos. Lucía holds a Doctor of Jurisprudence Degree from Stetson University. She completed her coursework of Master of Arts in Practical Theology and Ministry from Barry University. Lucia also holds a Bachelor of Science in Business Administration from the University of Central Florida. She is a licensed attorney. 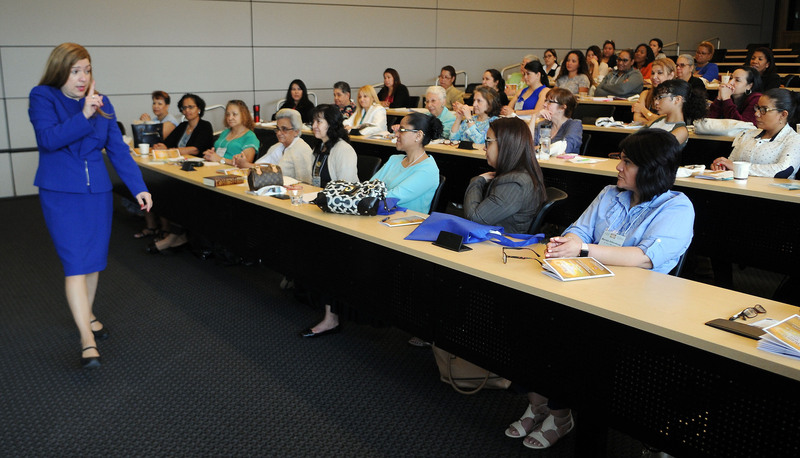 Spanish-speaking women get a laugh from remarks by speaker Lucia Baez Luzondo during “Women: Hearts Afire – Be Who God Made You to Be,” the second annual Diocesan women’s conference May 5 at DeSales University, Center Valley. Lucia Baez Luzondo strolls across the room as she speaks to Spanish-speaking women. 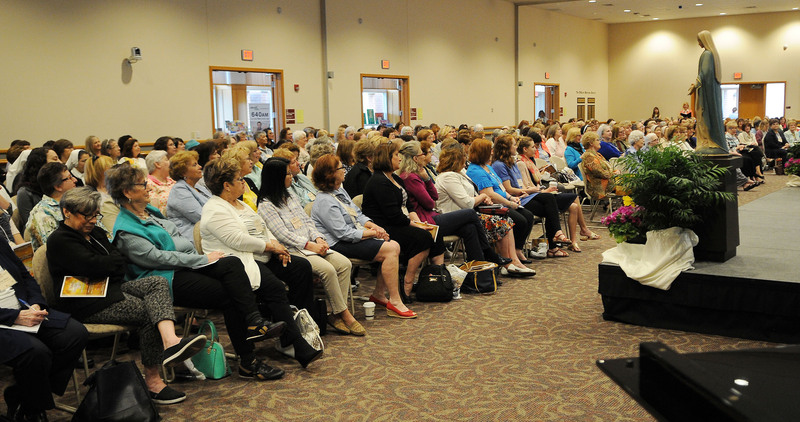 Women listen to a speaker during the daylong conference sponsored by the Diocese of Allentown Secretariat for Catholic Life and Evangelization in partnership with Stewardship: A Mission of Faith. Mary Fran Hartigan welcomes the 400 women attending to the conference. 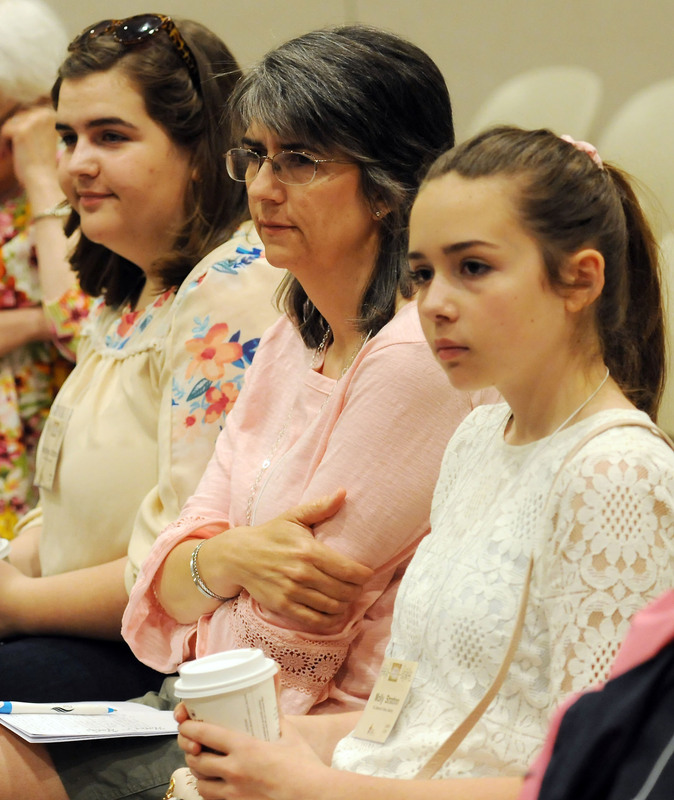 Magdalene Stratton, 16, left, her mother Deanna Stratton and sister Molly Stratton, 14, of Reading listen to Sister Faustina Maria Pia speak at the event. 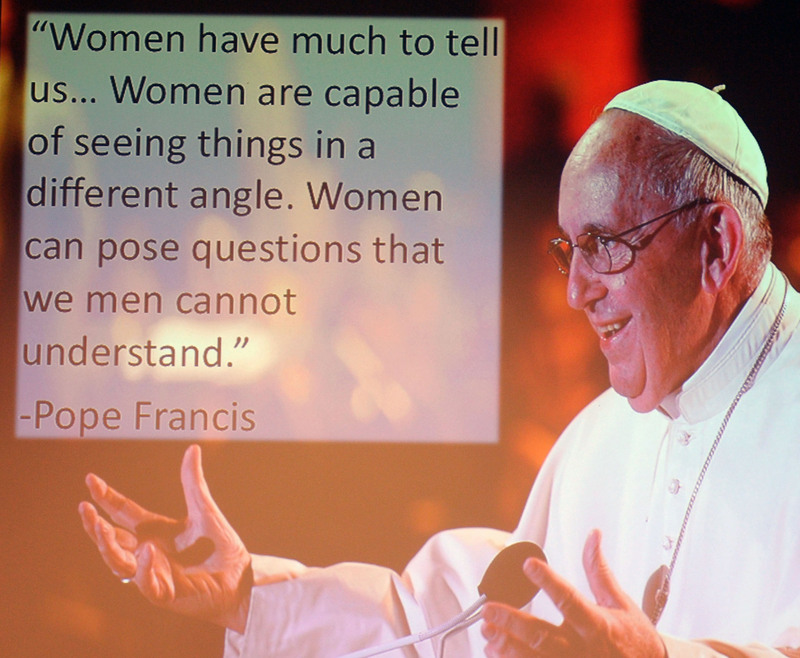 A graphic of Pope Francis is projected during the conference. Gia Myers of Douglassville listens to Monsignor Baker’s presentation.